The purpose of the program, established in 1979 by Robert G. Jahn, an aerospace scientist who was then Dean of the university’s School of Engineering and Applied Science, was "to study the potential vulnerability of engineering devices and information processing systems to the anomalous influence of the consciousness of their human operators." The research was funded by gifts from Princeton alumni James S. McDonnell, patriarch of the McDonnell Douglas Aerospace empire, Laurance Rockefeller, Donald C. Webster, and by numerous other philanthropic benefactors. Jahn and his colleague, Brenda Dunne, a developmental psychologist from the University of Chicago who has served throughout as PEAR's laboratory manager, together with other members of their interdisciplinary research staff, have focused on two major areas of study: anomalous human/machine interactions, which addresses the effects of consciousness on random physical systems and processes; and remote perception, wherein people attempt to acquire information about distant locations and events. The enormous databases produced by PEAR provide clear evidence that human thought and emotion can produce measurable influences on physical reality. The researchers have also developed several theoretical models that attempt to accommodate the empirical results, which cannot be explained by any currently recognized scientific model. More than 50 publications are available on the PEAR website, and Jahn and Dunne's textbook, Margins of Reality: The Role of Consciousness in the Physical World (Harcourt, 1987) has been in print for nearly 20 years. As part of their extensive archiving efforts, Jahn and Dunne have recently prepared a 150-page anthology of those PEAR publications pertinent to the burgeoning fields of complementary and alternative medicine, for a special issue of Explore: The Journal of Science and Healing, edited by Dr. Larry Dossey, which is currently in press. 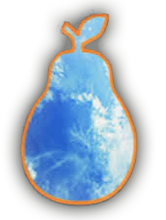 An educational DVD/CD set entitled The PEAR Proposition, produced by Strip Mind Media, offers a comprehensive overview history and accomplishments of the laboratory is also available, and can be obtained on-line from the ICRL website at www.icrl.org.